Even if you’re new to the guitar, you may be able to play a full song sooner than you think. While your favorite songs may sound extremely complex right now, many of them likely consist of simpler chords than you realize. 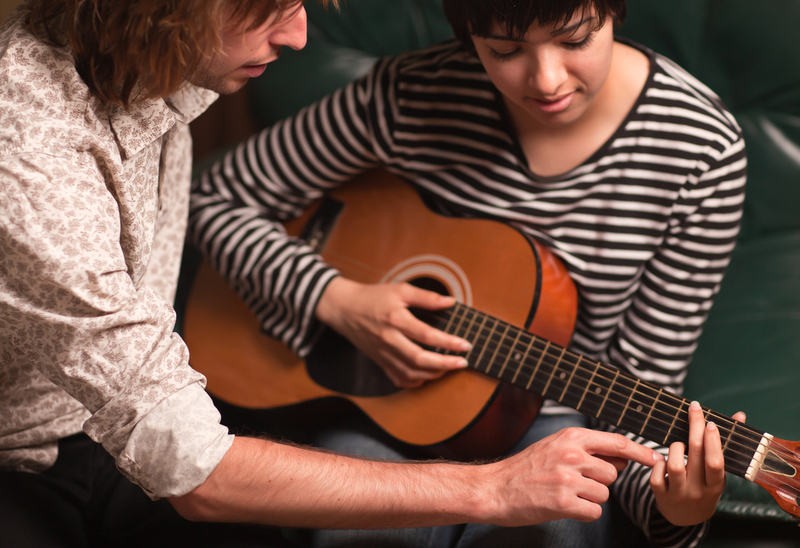 Whether you’re enrolled in professional guitar lessons or attempting to learn online, consider trying out these three fun songs perfect for beginners and kids. “Let it Be” is an excellent song to learn on either the electric or acoustic guitar. Plus, everyone loves it. The chords follow the basic sequence of C – G – Am – F. For added ease, skip the solo. The top hit is also an ideal track to practice with your vocals if you aspire to combine the two. Radiohead reportedly said that they’re tired of playing “Creep,” their most famous hit—perhaps because it consists of the same four chords repeated over and over (G – B – C – Cm). Yet the crowd still loves it, and it remains an idyllic, easy tune to kick-start your guitar lessons. Honor the music legend’s legacy when you learn this touching, iconic tune. While slightly more sophisticated than the aforementioned pieces, the song’s 6/8 pattern still allows for simple strumming. Like our blog post? Our years of expertise in teaching music has changed lives. Interested in our music programs? Take a look at what we offer and schedule a free trial class.